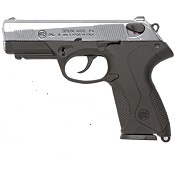 We have automatic blank guns for sale online in front firing and Top Firing. 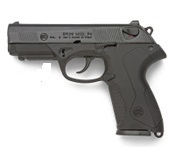 Our automatic blank firing guns eject and reload automatically just like a real Firearm. With our replica blank firing guns when the last round is fired they will stay cocked open until you release it just like a real gun. Our automatic blank gun selection includes: Walther P99 Blank Firing Gun, ASI UZI or UZI, Jackal Fully automatic, Fully Automatic Machine Gun pistols, sometimes called automatic Blank firer, Beretta PX4 and P4 Storm Replica, Beretta M85 8mm and V85 9MMPA Replica, Beretta M92 8mm Replica, M92 9mmpa fully automatic Beretta replica, V92 Semi automatic 9MMPA, P38, Beretta 950 Jetfire, VPPK 9MMPA, P229 and P29 blank firing guns, cougar or Vcougar, ARAS SWATT, Colt 1911, Sava Blank guns and more. If we don't have it it ain't available. We hope you enjoy your visit. Call us if we can assist 1-866-604-4867. We will work hard to earn your business and will provide you with prompt personal service. View several pages by changing pages at the bottom of each page.